If you crave a bass tool to enrich your creative palette, the Ibanez Bass Workshop may have already built your next instrument. 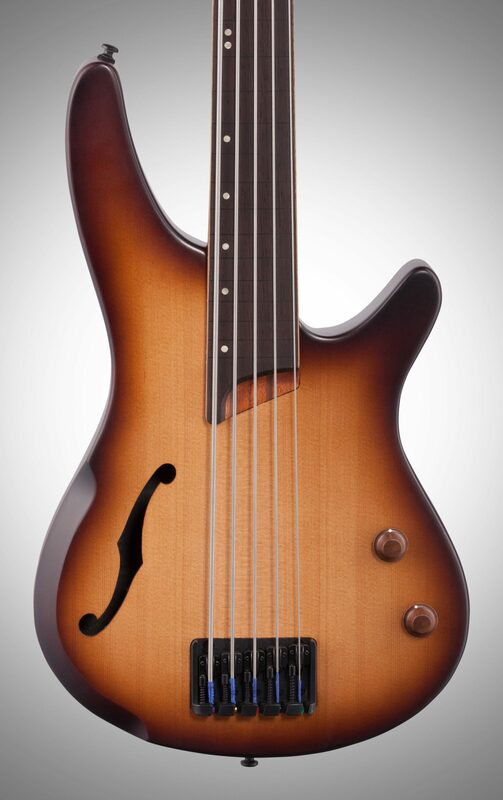 This product group focuses on combining unusual concepts with the bass-building virtuosity on which Ibanez has built its reputation. 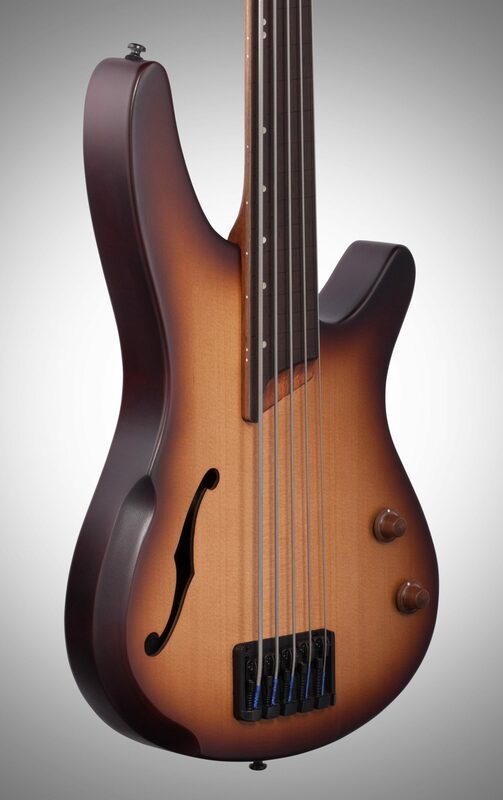 Unlike other hollow body basses, the SRH boasts a unique concept: the integration of the authentic feel expected in a hollow body and the key features that distinguish SRH as a contemporary bass. 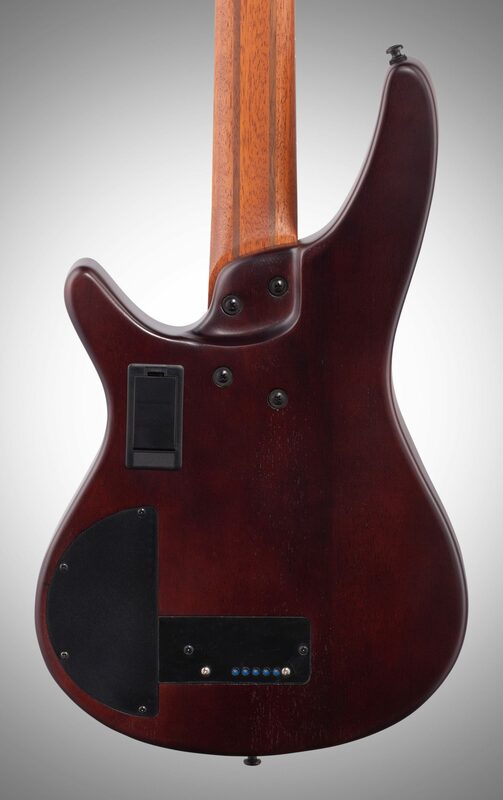 With its sleek, compact, comfortable, lightweight body, the SRH breaks another boundary to open up your playing. With its maximized hollow space, Spruce top and Mahogany back and sides, the 55 mm-thick semi-hollow body delivers a rich acoustic tone. The specially designed forearm contour on the body top offers playing comfort and adds an elegant accent to its appearance. 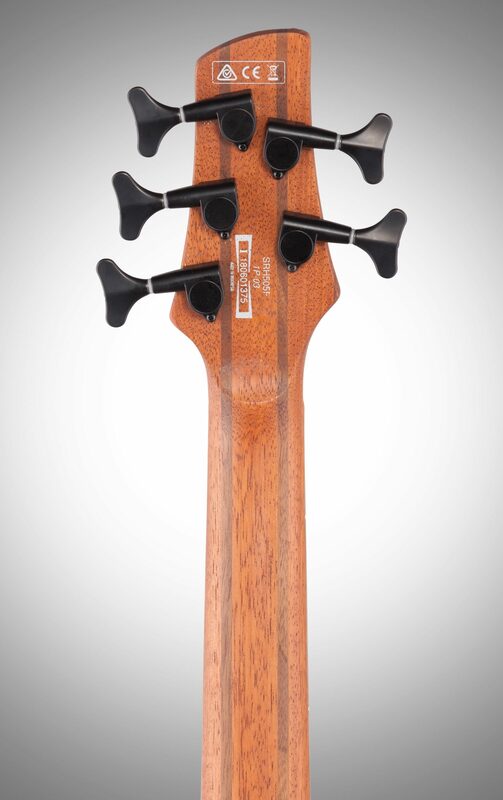 A panga panga fretboard with offset position markers, caps a 5pc Jatoba/Walnut neck with a contoured neck heel that creates a deep neck joint with unfettered access to the upper frets. 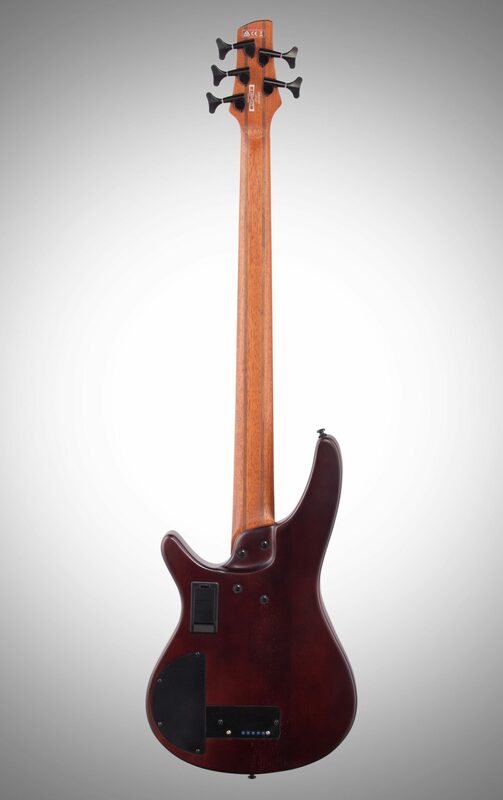 The custom bridge contains the magic of the AeroSilk Piezo system, which works with D'Addario ECB81 flat wound strings to provide that sense of "air" that characterizes upright sound. Overall: Light bass for it's size. Thickness of body take some time to get use to being much thicker than the typical Ibanez bass. 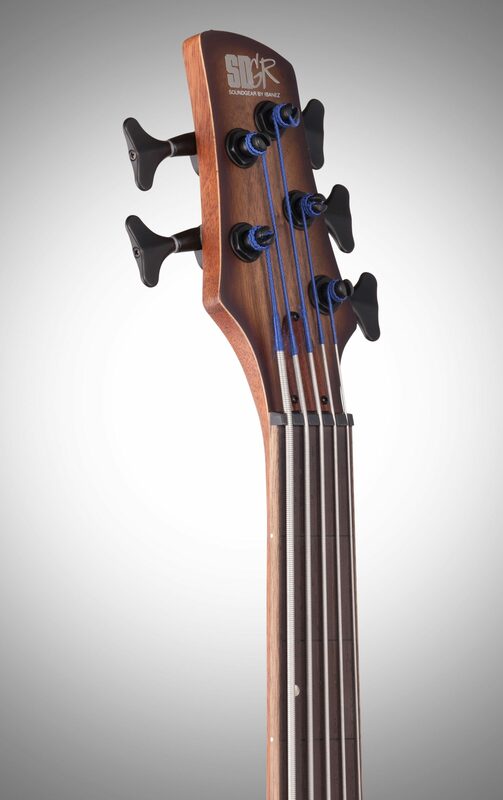 Neck is the typical Ibanez bass neck, thin and fast. 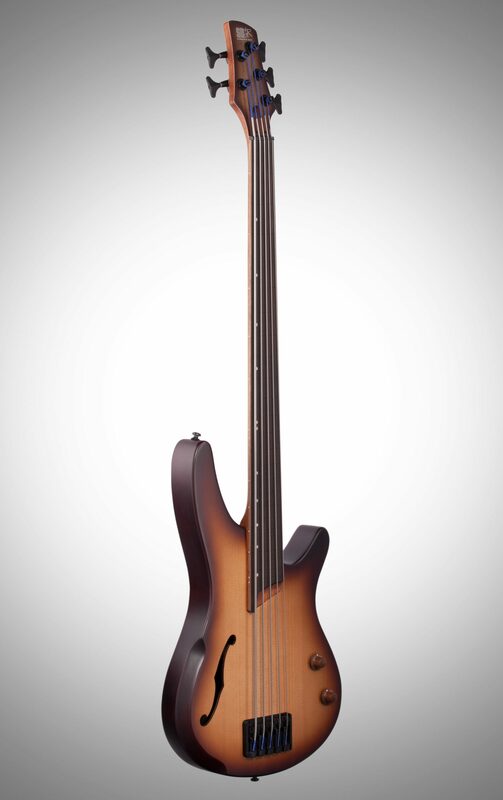 Being fretless, wonderful sound with the flatwound strings and piezo pickup. If you need lines, they are there but need good lighting to see them. Anyone some distance away will probably see it as unlined. Dots on the side of the neck are on the fretlines. Style of Music: Rock, hard to progressive.